If you have a small backyard you don’t have to miss out on the joys of pool ownership. Our Plunge and Courtyard pools are perfect for transforming a small area into an oasis. We have sizes starting at 2.8 up to 6.2m long. 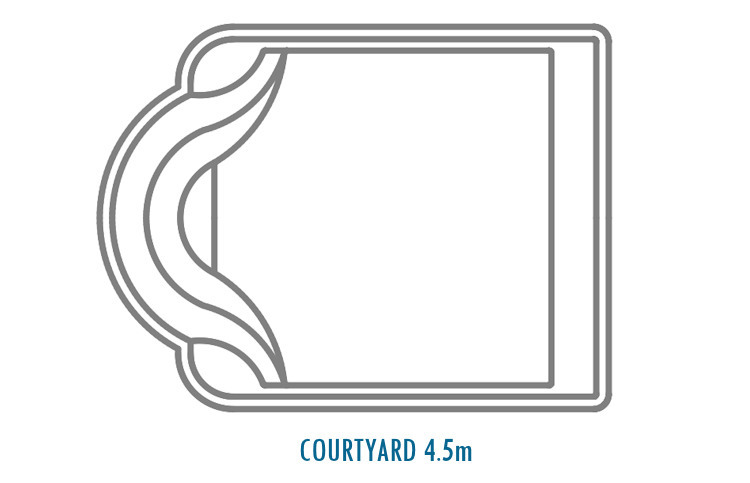 Some shapes in the Plunge Pool range may differ from the 3D design shown. 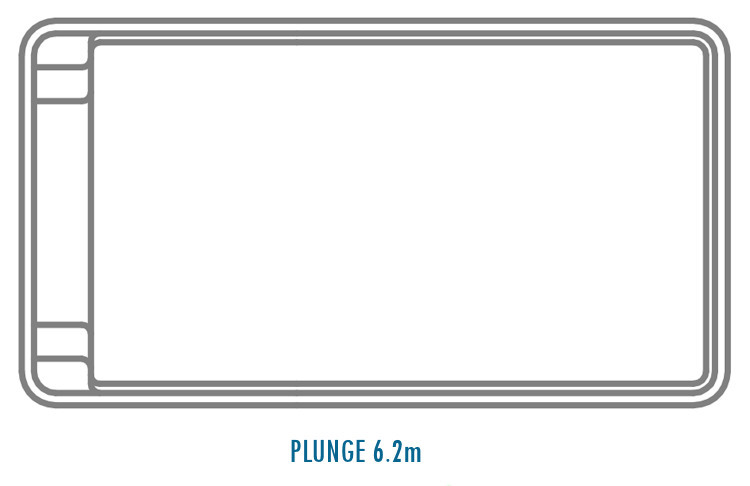 Click on ‘View’ for specific design detail of our Australian plunge pools. A small backyard doesn’t have to be a barrier to owning a pool of your own. A plunge pool from Compass Pools offers all the benefits of a regular swimming pool in a compact size, perfect for backyards where space is at a premium. Plunge pools offer you a generous amount of swimming space, with extra depth, enabling you to benefit from a wide variety of water-based activities while also providing you with the perfect place to relax. It also makes a highly attractive design feature, which will increase the aesthetic appeal and value of your property. Select the best colour to completent your backyard design. If you are thinking of a pool but your backyard area is limited, Plunge pool is the one to consider. It has all the features and benefits of bigger pools while fitting into smaller spaces. 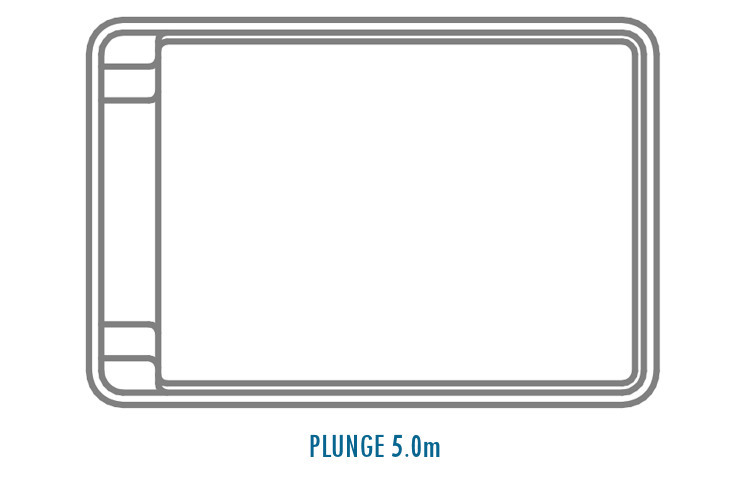 Our Plunge pools come in different sizes starting from 2.85m long and going up to 6.2m. They are extra deep so you can really relax (up to 1.65m). The wide bench on one side and the step ledges on the others enable kids to rest while adding that extra security feature. You can select from all our Vivid and Bi-luminite colours for your Plunge pool. Of course, it is manufactured using advanced Compass technologies including the ceramic core for strength and durability of the pool.